I love chocolate so much. I love white, milk, semisweet, bittersweet, dark, I just love it all. For me, chocolate is a food to slowly enjoy, to eat little bits at a time, to hide away so no one else will steal it from me, to eat when the house is quiet and I have some private time. I admit, I have a stash of chocolate hidden away. I won’t even reveal my hiding place on this blog! In the stash are chocolates for baking with and chocolate for eating straight from the block. You would only find the best chocolate in my stash (although I can’t afford the most expensive kinds); Lindt, Green & Black’s, etc. I love my chocolate stash dearly. 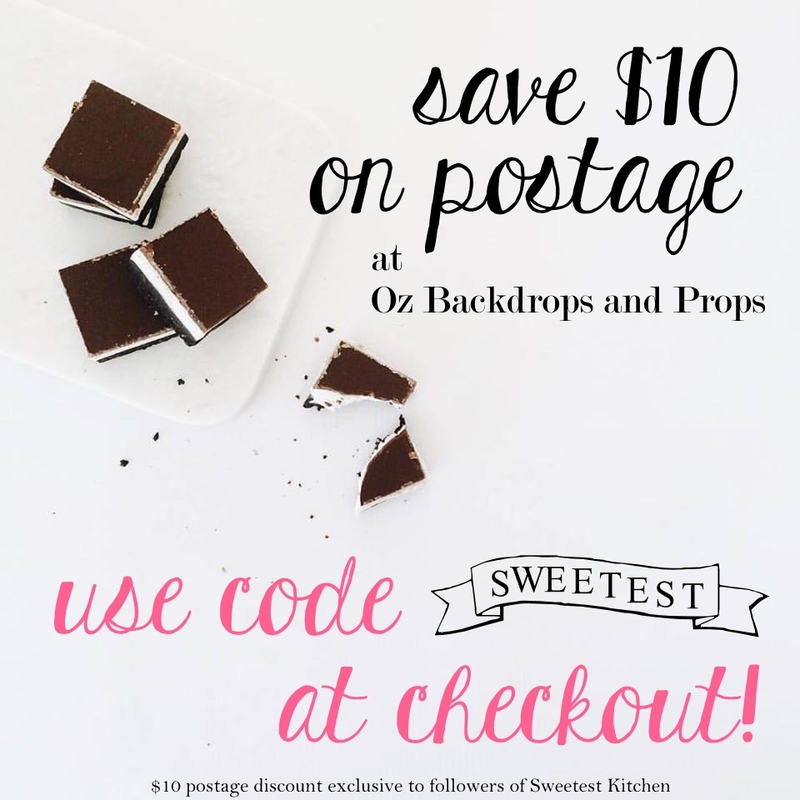 Recently, Kristy at KSayerphotography had a giveaway on her blog. 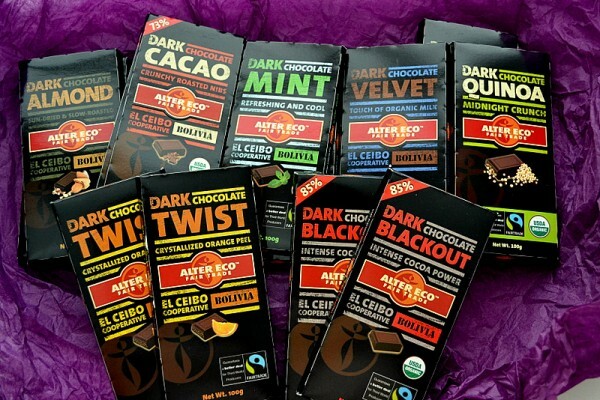 The prize was 14 blocks of Alter Eco Pacific chocolate. First of all, I saw “14 blocks of chocolate”! Awesome prize! Then I realized I had never heard of Alter Eco Pacific chocolate before. I went to their website to have a look. Alter Eco Pacific is based in Australia. Their products are Fair Trade, organic, and contain nothing artificial. They use sustainable farming methods and natural fertilizers. Just reading this on their website made me feel really great about consuming their chocolate. I entered Kristy’s giveaway and hoped for the best! Some of this chocolate I could bake with, and some I was going to just simply eat. In this post, I’ll give a brief review of each of the blocks, and also give you a Donna Hay recipe that I made with the chocolate. The first block I tried was the Crystallized Orange Peel chocolate. I do love chocolate and orange! The chocolate was exceptionally smooth and the orange peel, although while slightly annoyingly chewy, lent a hint of orange. The orange was not strong or overpowering, just gentle and soft. I didn’t bake with this chocolate; I just ate it straight from the block! Next, I tried the Quinoa, which is another block I did not bake with, but just simply ate. This chocolate was much darker in flavor than the orange. I think the quinoa is a nice textural addition to the chocolate, giving it a bit of a crunch. I had never eaten quinoa before tasting this. I feel I still don’t have a good idea of what quinoa tastes like, as I mainly just tasted the dark chocolate in this block. I had to try to bake something with this chocolate, so I used a bit of the Dark Velvet (which contains organic milk) in some chocolate chunk cookies. They were very delicious, but I actually loved eating this chocolate straight from the block more than the cookies. It was very, very velvety and so smooth. It wasn’t as hard as the other blocks. I loved it! Another one I decided to use in a batch of chocolate chunk cookies was the Cocao Nib. This one I was really looking forward to try, as I had never eaten cocao nibs. I loved the crunch and I loved the taste of this block. In the cookies, the crunch was more subtle after baking. Again though, I wish I wouldn’t have baked with this block as I wanted to eat more of it on its own! The Almond one was delicious as well, much better than any almond chocolate bar you’d by in the candy aisle at the grocery store! I used both whole blocks of the Blackout chocolate, containing 85% cocoa, to make Donna Hay’s dark chocolate and caramel pudding. This recipe is on the cover of her most recent winter magazine. The pudding is basically made up of a layer of dulce de leche on the bottom, and gooey chocolate cake on top – in other words, heaven! This recipe was so heavenly I made it twice in two weeks! For the first go, I used Alter Eco’s Pacific Blackout. The block melted down so smoothly and smelled great as they melted. The end result was super delicious and super chocolaty. The recipe for this is at the end of this post. I’m saving the best chocolate for last… the Mint Chocolate. I have tasted a lot of mint chocolate, and although I like the combination, I normally wouldn’t name it as one of my favorites. But this block of mint chocolate was the best ever mint chocolate I have tasted in my entire life. It contains tiny pieces of peppermint which are crunchy and release bursts of mint that are just to die for. This was without a doubt my most favorite of Alter Eco Pacific’s chocolate. My second favorite was the Dark Velvet. My least favorite was the orange. I’ve got to find where these blocks are sold and buy some more to add to my stash. My last mint chocolate is half gone, and I feel I absolutely need to have more! 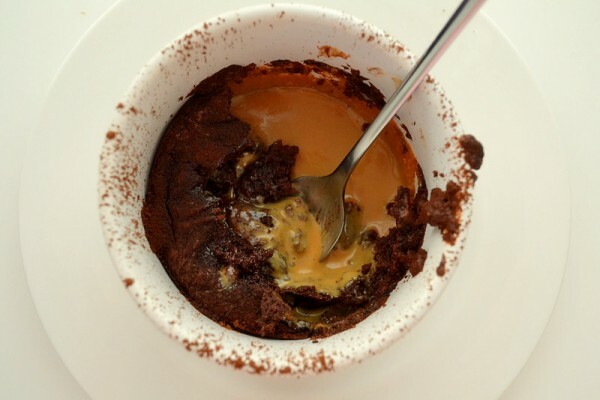 Comforting and indulgent chocolate puddings with a layer of caramel at the bottom. Preheat oven to 200 degrees Celsius. Place the caramel in a bowl and whisk until smooth. Add the cream and mix well to combine. Place ⅓ cup (80ml) of the caramel mixture in the base of a 4 x 1 ½ cup-capacity (375ml) ovenproof dishes. Place the chocolate and butter in a heatproof bowl over a saucepan of simmering water and stir until the chocolate is melted and smooth. Place the eggs, sugar and vanilla in the bowl of an electric mixer and beat for 8-10 minutes or until doubled in size. Fold the chocolate mixture and almond meal through the egg mixture and divide between the dishes. Place on a baking tray and bake for 18-20 minutes or until risen and the centres are soft. Stand for 5 minutes. Dust with cocoa to serve. *Find caramel filling in the baking aisle of the supermarket. If this isn’t available, use store-bought or homemade dulce de leche. Here in Australia, you can use Nestle Top ‘N Fill caramel, which is essentially dulce de leche. *I divided the caramel and cake mixture between 6 1-cup ramekins, instead of only 4 1½ cup ramekins. After seeing the quantities of the mixtures, I felt that it could easily fit in 6 smaller ones. In the end, I am glad I did this because the pudding is so rich and had it just been 4 ramekins, I don’t think we could have eaten the entire contents of the ramekin in one go! These puddings look super rich – perfect for a cold winters night! Yes, the puddings are so perfect for a cold night! my mouth was watering just reading this… the mint chocolate (one of my favs) sounds amazing! was the quinoa anything like crunch texture here? it sounds strange having quinoa chocolate bar, but i am sure it was good… that pudding you made looks to die for! i wish i lived closer to you so we could share our treats!